Rather than engaging in rhetoric targeting immigrants and Muslims, we should make substantive amends for past xenophobia. 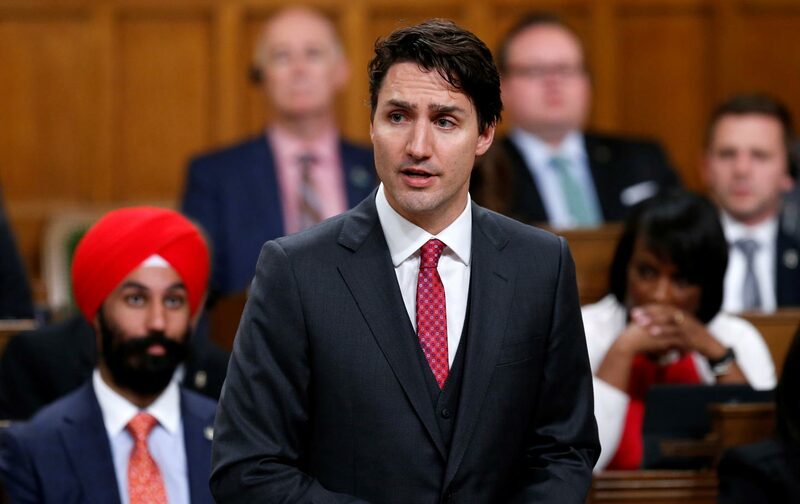 On Wednesday, Prime Minister Justin Trudeau made an apology that has been a long time coming for many Canadian Sikhs. “Today I rise in this House to offer an apology on behalf of the government of Canada, for our role in the Komagata Maru incident,” Trudeau said in his remarks. The “incident” refers to the experiences of 376 Sikh, Muslim, and Hindu passengers traveling from India on the Komagata Maru steamship in 1914, with the hopes of settling in Canada. When they arrived, the passengers were barred from entry because of a racist and exclusionary immigration policy that prevented migrants who had not made a “continuous journey” to land in Canada. While the law seems innocuous on its face, it was intended to prevent “undesirable,” non-white immigrants from Asia to enter Canadian borders, as it was impossible to make an uninterrupted trip to Canada from places like India. The 376 passengers spent two months on the ship at the Vancouver harbor and were denied food and water until the Canadian military turned them back. When they returned to India, British soldiers killed at least 19 of the passengers, and imprisoned many others. Of course, racist immigration policies were not limited to Canadian shores at the turn of the 20th century. In America, immigrants from Asia faced restrictions to migration because of national origin quotas, as well as barriers to owning land and becoming naturalized citizens after they arrived. Valarie Kaur, a Sikh-American filmmaker and civil-rights lawyer, recalls her own family’s experiences in California: “My grandfather, Kehar Singh, arrived lawfully by steamship in September 1913, but was incarcerated for three months until he was released on a writ of habeas corpus.” Such government actions and policies fostered xenophobic views among the American public as well. Anti-Asian exclusion leagues were formed to threaten Chinese, Filipino, Japanese, Korean, and Indian laborers who worked in lumber mills and on the railroads, leading to events like the shameful riots in Bellingham, Washington, in 1907, when white residents rounded up two hundred South Asian migrant workers and locked them in the basement of the city hall in an effort to drive them out of town. The United States has been slow to make amends for the anti-immigrant policies that targeted Asian immigrants. Aside from the restitution paid to Japanese Americans, none of these federal government apologies offered reparations or led to structural policy changes, and some explicitly stated that resolutions of regret could not form the bases for future claims of monetary compensation. So, is saying sorry enough by itself? Is saying sorry enough by itself? No, but it is an important start. No, but it is an important start. Susan Glisson, founding director of the Winter Institute—which focuses on racial reconciliation in the South—believes that governmental recognitions of historic injustices are “public rituals of atonement that present the first steps towards healing racial wounds.” And according to Janelle Wong, the director of the Asian American Studies program at the University of Maryland, “official acknowledgments of historic state-sanctioned discrimination—which may be fading from public memory—can raise public awareness and draw attention to parallels between the past and the present.” With the Chinese Exclusion Act, for example, many Asian-American organizations utilized the moment to draw comparisons between past exclusionary policies and the contemporary realities of anti-immigrant and deportation policies that continue to affect Asian immigrants today. And it is important to recognize that for those aggrieved, formal apologies by political leaders can be transformative. Clearly, for many of the descendants of the Komagata Maru passengers denied entry by the Canadian government and to the Canadian scholars, artists, and storytellers who have been keeping the memory of the Komagata Maru alive for over 100 years, Prime Minister Trudeau’s acknowledgment in the House of Commons was a significant moment. But how can political leaders and nations be pressed to do more? Apologies can and should be accompanied with efforts to make amends for past racial injustices, whether these occur in the form of reparations, targeted investments in communities that have been neglected and abandoned, or structural and institutional policy change. For example, according to Peggy Nagae, a lead attorney in one of the cases that challenged the Japanese-American internment, the government’s apology and monetary reparations in 1988 was “just one part, but a significant part, of the movement for redress” that also included the establishment of a public commission that documented the experiences of people incarcerated during World War II. Social-change movements led by those most affected have always reminded us that the absence or presence of official government acknowledgments and apologies cannot distract us from making collective demands for liberation and justice. South Asian, Sikh, Muslim, and Arab immigrants experiencing post-9/11 discrimination know this well. Over the past 15 years, our communities have endured the impact of national-security and immigration policies implemented in the “war on terror,” which have led to unprecedented levels of profiling, surveillance, and deportations. While it may seem unimaginable in today’s political climate to expect formal acknowledgments and apologies of the government’s role in racist policies and narratives targeting Muslims and anyone perceived to be Muslim, there are substantive policy demands that can roll back the harmful impact of post 9/11 practices—from robust anti-profiling policies to the dismantlement of surveillance, mapping, and information-gathering programs to the establishment of a public commission that documents the realities and experiences of communities affected by the war on terror. In addition, city councils, state legislatures, and human-relations commissions can pass affirmative resolutions that welcome immigrant and refugee communities and stand against Islamophobia. In Canada, activists and scholars point to the importance of understanding the ongoing legacy of the Komagata Maru in terms of their country’s treatment of immigrants today. “As anti-immigrant sentiment and laws emerge around the world, apologies for a country’s racist past must be balanced with strong policy and institutional commitments to create environments that welcome and support—not demonize and criminalize—today’s immigrant and refugee workers and families,” said Neethan Shan, the executive director of the Council of Agencies Serving South Asians. By remembering, acknowledging, and apologizing, we must not only create a record of the past and a catalyst for healing, but also pave the way for a different future that will bring about a more humane and just set of outcomes for communities who have endured unacceptable treatment in the past. Deepa IyerTwitterDeepa Iyer is a writer, activist, lawyer and podcaster. She is currently a Senior Fellow at the Center for Social Inclusion and the author of We Too Sing America: South Asian, Arab, Muslim and Sikh Immigrants Shape a Multiracial Future.